Glyphosate resistance is essentially old news in most ag communities. Most growers know they or some of their close neighbors have Roundup® or glyphosate resistant weeds. Growers are looking for alternative ways to control their resistant weeds and Liberty® herbicide is providing a helping hand. Whether you are battling resistant waterhemp or the dreaded Palmer amaranth, Liberty herbicide provides growers with an attractive alternative. Growers have several choices within the corn herbicide “toolbox” to battle resistant weeds but right now the best alternative for tackling resistant weeds in soybeans is to apply Liberty herbicide to LibertyLink® soybeans. It’s part of a system that links the seed and herbicide together to form a formidable pair. 1. When ordering LibertyLink soybeans, check with your ag chemical supplier to make sure there will be an adequate supply of Liberty herbicide available. Or better yet, order Liberty herbicide for those acres. 2. Does your retailer have the desire to spray Liberty? If not, are you set up to spray properly? 4. The use of a full-rate of a pre-plant residual herbicide product will help to reduce weed populations, slow weed growth, and offer more flexibility on when the post application of Liberty can be applied. 5. Thorough weed coverage is key when it comes to the application of Liberty because it is a contact herbicide. Better coverage with Liberty can be accomplished by particular nozzles (flat fan or others) that provide medium spray droplets (250 to 350 microns), with higher pressures (40 to 60 psi), at slower application speeds (12 mph or less), with the addition a lot of water - 20 GPA), along with adjuvants such as 2.5 to 3 lbs. AMS per acre. 6. Liberty is rainfast within 4 hours and be sure to not spray Liberty at night or under adverse conditions (fog, heavy dew, rain, or stress such as drought, cool temperatures, and extended periods of cloudiness). Spray Liberty after dawn and 2 hours before sunset to avoid the possibility of reduced weed control. 7. Apply the first post-Liberty application (rate of 22-29 fl. oz./a) 22 days after crop emergence or up to V3 soybean growth stage, before weeds reach a height above 3 - 4 inches. The higher rate (up to 36 fl. oz./acre) of Liberty might be needed if environmental conditions prevent timely application and weeds are 6 - 10 inches tall. However, an application of more than 22 oz. of Liberty is not recommended past V4 soybean growth stage. 8. A second post-Liberty application (rate of 22 to 29 fl. oz./a) can be applied if needed, but keep in mind that your total use rate of Liberty cannot exceed 65 fl. oz./a. 9. The first and second applications of Liberty should be at least 5 days apart. 10. Use a full rate of a post-residual herbicide with your post-Liberty application if needed for harder to control weeds such as amaranths. 11. 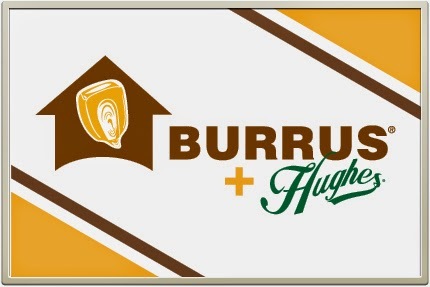 Don’t forget about the Burrus Linkup rebate offer! · Increased from $5 to $6 an acre (140K unit) if sprayed with a minimum of 29 oz. of Liberty herbicide. · At 29 oz. of Liberty herbicide, you can receive a discount of approximately $24 per gallon. · Grower must purchase both LibertyLink soybeans and Liberty herbicide to qualify. · There is a minimum purchase of 50 units of Liberty Link soybeans and minimum of 11.3 gallons of Liberty herbicide purchase required. · If you used Authority as a pre, you can earn up to $3/unit rebate and add Anthem you qualify for an additional $2 per unit. If you use Autumn herbicide as a fall application, you can qualify for an additional $3/unit rebate. The rebate can total $14 /unit. Check with your Burrus Account Manager for a complete list of residual suppliers as well as qualifying residual herbicide products. Remember, you have a tool to help combat those Roundup resistant weeds. We have several LibertyLink soybeans to choose from ranging from 2.5 to 4.2 in relative maturity. Select one or more of the following soybean varieties: Hughes 255LL, Hughes 285LL, Hoblit 355LL, Hoblit 384LL, Hoblit 405LL or Hoblit 423LL. Order the Liberty herbicide from your ag retailer and follow the suggestions listed in this article to begin your quest to crush resistant weeds!